Giallo films are Italian-produced murder-mystery thrillers which feature scenes of expertly choreographed violence and usually include elements of horror and eroticism. These were (in)famous in the '70s and '80s and brought great names such as Dario Argento, Mario Bava and Lucio Fulci to the mainstream during the video nasties witch hunt in which the British Government tried to blame unemployment and depression on film. End of history lesson. Mattia De Pascali's feature debut is a homage to the aforementioned genre. It is loosly based on William Shakespeare's 'Macbeth', told in present day Italy. And the title of this film is McBetter. I think you can see where this is going. It doesn't take itself too seriously. If it did, the rating would be lower. The director knew what he was doing here. 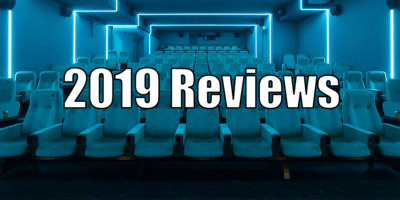 The story centers around Malcolm (Andrea Cananeiello), a complete psychopath who wants to take over his father-in-law's successful fast food franchise. With his psychopathic tendencies, Malcolm not only plans to take over, he thinks he deserves it. And, this being a giallo film, you can imagine things go a bit crazy from there on. That's the simple plot to this great little film. It's straight forward and to the point. It makes a great showcase for the entertaining violence, which there is plenty of, especially in a finale that would give Braindead/Dead Alive a run for its money. Made on a budget of €10,000, the cinematography and production value look very high. Bear in mind Paranormal Activity was made for $11,000, after you watch this you will be scratching your head wondering what Oren Peli actually spent that money on. This schlock horror film has it all - pitch black comedy, surprisingly top notch cinematography, amazing practical effects and decent acting. It knows when to pay homage but also knows when to poke fun at itself. It is a very well rounded film. This is all great. Except for the moments of CGI. 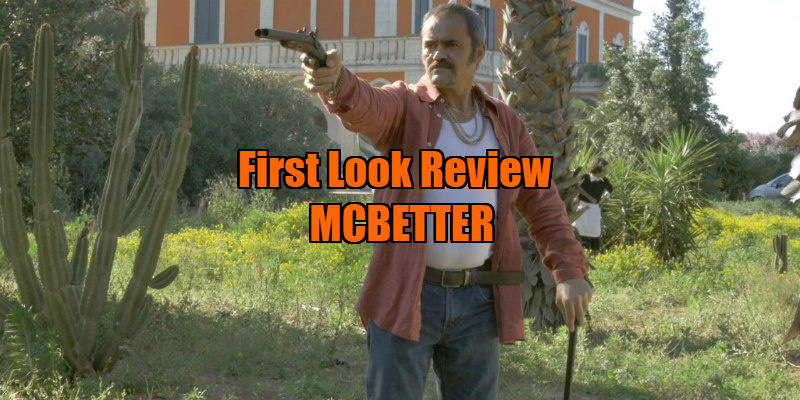 If McBetter is the type of film you would watch with a few beers on the weekend this could be forgiven, but some of the scenes are laughably bad for this reason alone. Depending on how drunk you are, this could be a good thing and could add more entertainment value to the film. I watched this sober and it gave me a laugh for the wrong reasons. The CGI could have been left out and it would have still worked; most notably the veil of the witch in the opening sequence. You can't miss it. That is the only complaint I have about the entire film. The run time is short, clocking in at 75 minutes. The film flies in and doesn't let up on the entertainment from start to finish. Not to take anything away from the filmmakers, maybe this is the late night B-Movie you only watch when drunk. Maybe that's what was intended. Intended or not, it does deliver on that aspect. Horror fans will like the references to the giallo classics but it cleverly never tries to compete with them. If you are a genre fan, let's face it, for every good horror film, there are 50 awful ones. Fortunately, this is one of the better ones. The director obviously adores this sub-genre and being a fan myself, I really enjoyed this film. This is no Dressed to Kill, but it is definitely well worth a watch. 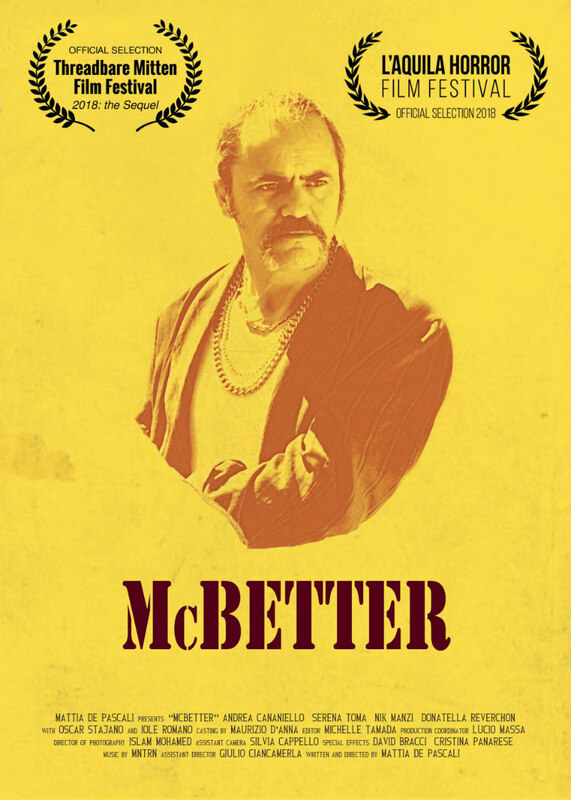 McBetter is available on Italian DVD now. A UK release has yet to be announced.